OPEN ONLY TO LEGAL UNITED STATES RESIDENTS WHO ARE ENGAGED TO BE MARRIED AND ARE 18 YEARS OF AGE OR OLDER. ONLY ONE PERSON FROM A COUPLE ENGAGED TO BE MARRIED CAN ENTER THE SWEEPSTAKES ON BEHALF OF THE COUPLE. By participating, you agree to abide by and be bound by these Official Rules and the decisions of Sponsor, which are final and binding in all respects and are not subject to appeal. 2. SWEEPSTAKES PERIOD: 7/1/2018 at/after 12:00:01 a.m. EST – 5/31/2019 at 11:59 p.m. EST. Step 2- Take a selfie or other photo at one (1) of Sponsor’s Bridal & Wedding Expos taking place during the Sweepstakes Period and complete item 1 and 2 below under either Instagram or Facebook. No purchase necessary, selfie or other photo can be taken prior to entering the show or purchasing a ticket, in the lobby or outside of the venue. THE HASHTAG #ACSBRIDALSWEEPSTAKES MUST BE INCLUDED IN THE POSTED PHOTO SO AS TO DISCLOSE THAT YOU ARE POSTING THE PHOTO IN CONJUNCTION WITH ENTERING FOR A CHANCE TO WIN A PRIZE IN A SWEEPSTAKES PROMOTION SPONSORED BY AMERICAN CONSUMER SHOWS, LLC. IF THE HASHTAG IS INCORRECT, INCOMPLETE OR OMITTED ALTOGEHER, YOU WILL NOT BE ENTERED IN THE SWEEPSTAKES. See Rule 5 below for restrictions on photo content. Message and data rates apply to use of mobile device for Sweepstakes entry; this includes but is not limited to posting of photo on social media as per Step 2 above. You may be charged by your wireless carrier for participating via mobile device. It is therefore recommended that you consult your wireless carrier’s pricing plan BEFORE participating via mobile device. Not all mobile devices offer wireless Internet access; and, wireless Internet access may not be available in all areas. 4. ADDITIONAL RESTRICTIONS ON ENTRY: Both Steps 1 & 2 of entry procedure must be completed, in order to result in entry. (Without limiting the foregoing, posting photo in Step 2 alone will NOT result in entry.) Limit of one (1) entry (i.e., completion of Steps 1 & 2) per person during the Sweepstakes Period. (A given e-mail address and social media account may only be used by one (1) person to enter the Sweepstakes. In addition, you may post the same photo on more than one (1) social media platform in participating in Step 2 of the entry procedure, but doing so will not improve your chances of winning the prize. Use of any artifice or method to violate the entry limit (e.g., multiple e-mail addresses or social media accounts on a given social media platform) and/or the use of automated or programmed means to enter will result in disqualification of all entries. In the event of a dispute: (a) entry will be deemed submitted by the authorized account holder of the e-mail account used to enter the Sweepstakes and (b) photo posted as per Step 2 of the entry procedure will be credited to the authorized account holder of the e-mail account associated with that social media account; Sponsor shall resolve all such disputes in its sole discretion and may condition prize award upon potential winner establishing to Sponsor’s satisfaction that he/she is indeed the owner of the e-mail address and/or social media account in question. Proof of submission of Step 1 entry form and/or posting of Bridal & Wedding Expo photo does not constitute proof of receipt or proof of entry. 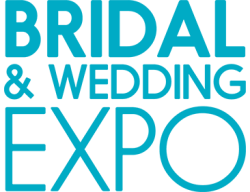 Receipt of entries may be acknowledged (including perhaps Sponsor commenting on Bridal & Wedding Expo photos posted on social media accounts in Step 2 of the entry procedure), but such acknowledgment merely indicates that entry/photo has been received. Without limiting the foregoing, such acknowledgment does not constitute any representation as to Sweepstakes eligibility nor is it otherwise binding upon Sponsor; further, Bridal & Wedding Expo personnel have no authority to make any representation on behalf of Sponsor with regard to eligibility or Sweepstakes participation. Must be relevant to the indicated theme; i.e., taken at one of Sponsor’s Bridal & Wedding Expos during the Sweepstakes Period. 6. GRANT OF RIGHTS IN PHOTO. You grant to Sponsor and its designees the non-exclusive, irrevocable, perpetual, worldwide, royalty-free, transferable, sublicenseable right and license to use, perform, exhibit, reproduce and/or otherwise exploit your photo in any manner and in any and all distribution channels, venues or media now known or hereafter devised, without further notice or any compensation to you. The preceding is made subject to any rights retained by a social media platform with regard to content disseminated thereon. You waive any “Moral Rights of Authors” or similar natural rights that you may have in your photo. You further agree, upon Sponsor’s request and without compensation, to sign any documents that Sponsor may require so as to confirm, perfect or effect the foregoing. You also understand and agree that Sponsor has wide access to ideas, stories and other literary/artistic materials submitted to it from outside sources or being developed by its own employees and that such ideas/stories/literary/artistic materials may be competitive with, similar to (or even identical to) the submitted photo and that Sponsor shall have no liability to you or any third party in conjunction therewith. You also understand and agree that Sponsor does not have any duty of confidentiality or other fiduciary duty to you relative to your photo. PHOTOS REPRESENT SOLELY THE VIEWS OF THE APPLICABLE PROSPECTIVE ENTRANT AND, AS SUCH, DO NOT NECESSARILY REPRESENT THE VIEWS OR OPINIONS OF SPONSOR. SPONSOR DISCLAIMS ANY AND ALL LIABILITY WITH REGARD TO THE CONTENT OF POSTED PHOTOS, INCLUDING THE MONITORING, MODERATING OR REVIEW OF SAME. SPONSOR WILL NOT MODIFY OR EDIT PHOTOS IN CONJUNCTION WITH THE ADMINISTRATION OF THE SWEEPSTAKES. 7. RANDOM DRAWING: Potential winner will be selected in a random drawing comprised of all eligible entries received. The drawing will be conducted by Sponsor on or about 6/15/2019. (For the avoidance of doubt, the quality of photos posted via social media in Step 2 of the entry process will not be taken into account in the winner selection process; however, the content of the photo must be in compliance with these Official Rules, including Rule 5 above). Potential winner will be notified by e-mail or phone and must complete, sign and return an Affidavit of Eligibility, an IRS W-9 Form, a Liability Release, and a Publicity Release (where legal), within five (5) business days of date of prize notification. Non-compliance with this requirement, if potential winner cannot be contacted after Sponsor’s reasonable attempts to do so, or if potential winner is determined to be ineligible (or otherwise in violation of these Official Rules) will result in disqualification and prize forfeiture without compensation of any kind. And, in such event, an alternate potential winner will be selected via random drawing from among all remaining eligible entries received. 8. PRIZE/ODDS OF WINNING: Prize (1) – $10,000 check. All unspecified costs and expenses associated with prize acceptance/use are winner’s sole responsibility. Taxes on prize are also the winner’s sole responsibility. Winner will be issued an IRS 1099 Tax Form for the total value of the prize and winner agrees to fully cooperate with Sponsor relative to compliance with all applicable governmental reporting requirements (including completion of IRS W9 Form with his/her Social Security Number, upon request). No prize substitution except by Sponsor in its sole discretion and only then for prize of equal or greater value. Prize is not transferable without Sponsor's written consent; such consent may be granted or withheld in Sponsor's sole discretion and without liability of any kind. Limit of one (1) prize per person/family/household in any sweepstakes/contest sponsored by American Consumer Shows, LLC during a given twelve (12) month period. Odds of winning depend on the total number of eligible entries received. 9. ELIGIBILITY: Employees, officers and directors of Sponsor, its parent company, subsidiaries, affiliates, divisions, agencies and exhibitors at Sponsor’s Bridal & Wedding Expos, as well as the immediate family members of such persons (defined as parent, child, sibling, spouse) are not eligible to enter or win the prize in the Sweepstakes. For the avoidance of doubt, persons who are not engaged to be married are also not eligible to enter the Sweepstakes. Void where prohibited by law. 10. CONDITIONS OF PARTICIPATION: Sponsor’s computer is the official clock for purposes of the Sweepstakes. Sponsor and its agencies assume no responsibility for (a) any incomplete, incorrect or inaccurate information, whether caused by website users, tampering, hacking or by any of the equipment or programming associated with or utilized in the Sweepstakes or by any technical or human error); (b) any error, omission, interruption, deletion, defect, delay in operation or transmission, communications line failure, theft or destruction or unauthorized access to, or alteration of any website and/or entries; (c) lost, late, garbled, corrupted, inaccessible, incomplete (including, without limitation, failure to complete Steps 1 and 2 of the entry procedure and failure to include prescribed hashtags in photo posted to social media account, follow or like as per Step 2 of the entry procedure), stolen, damaged or misdirected Step 1 entry forms (all of which are void) and (d) any problems or technical malfunctions of any telephone network or lines, computer on-line-systems, servers or providers, computer equipment, software, programming or failure of e-mail on account of technical problems or traffic congestion on the Internet or at any website or any combination thereof (including, without limitation, Sponsor’s inability to access photos posted on social media platform[s] in conjunction with completion of Step 2 of the entry procedure, due to the functionality or operation of social media platform[s]), or for injury or damage to entrant’s or to any person’s computer or mobile device (or any information/materials stored therein) related to or resulting from downloading materials from any website or participating in Sweepstakes. Sponsor’s failure to enforce any provision of these Official Rules in a given circumstance will not constitute the waiver of such provision. This promotion is in no way sponsored, endorsed or administered by, or associated with, Facebook or Instagram. 11 FORCE MAJEURE: If, for any reason, the Sweepstakes (or any part thereof) cannot be conducted as planned for any reason beyond Sponsor’s control (e.g., fraud, tampering, natural disaster, civil commotion, riot), Sponsor reserves the right at its sole discretion to cancel, terminate, modify or suspend the Sweepstakes and conduct the Sweepstakes and select the prize winner from among all eligible entries received prior to the action taken by Sponsor or otherwise in a manner which is fair, equitable and in accordance with these Official Rules, as determined by Sponsor in its sole discretion. Notice of such action by Sponsor will be posted on Sponsor’s Bridal & Wedding Expo websites and at Sponsor’s Bridal & Wedding Expos, to the extent feasible. CAUTION: ANY ATTEMPT BY A PERSON TO DELIBERATELY DAMAGE ANY WEBSITE, UNDERMINE THE LEGITIMATE OPERATION OF THIS SWEEPSTAKES OR OTHERWISE DEFRAUD SPONSOR IS A VIOLATION OF CRIMINAL AND CIVIL LAWS AND SHOULD SUCH AN ATTEMPT BE MADE, SPONSOR RESERVES THE RIGHT TO SEEK DAMAGES FROM ANY SUCH PERSON TO THE FULLEST EXTENT PERMITTED BY LAW IN ADDITION TO DISQUALIFICATION OF SUCH PERSON FROM THE SWEEPSTAKES. THE PRECEDING INCLUDES, WITHOUT LIMITATION, ACTING IN AN INAPPROPRIATE MANNER AT ONE OF SPONSOR’S BRIDAL & WEDDING EXPOS. 12. RELEASES: By participating, entrant indemnifies, releases and agrees to hold harmless American Consumer Shows, LLC, its parent company, affiliates, subsidiaries, divisions and agencies, and the directors, officers, agents, representatives, shareholders, employees, successors and assigns of any of the above organizations, as well as Facebook and Instagram from any and all liability arising from participating in the Sweepstakes, any Sweepstakes-related activity and/or acceptance, receipt, possession or use/misuse of the prize. By accepting the prize, winner agrees to the use by Sponsor and its designees of his/her name, address (city, state), likeness, voice, photograph, other indicia of persona or any statements that winner makes about the Sweepstakes, Sponsor or prize for advertising/publicity/trade purposes in any and all media whether or not currently known, without further compensation or notice, except where prohibited by law. 13. DISPUTE RESOLUTION/GOVERNING LAW: To the fullest extent permitted by law, by participating in the Sweepstakes, you agree that: (a) any action at law or in equity arising out of or relating to these Official Rules or this Sweepstakes shall be filed exclusively in the federal or state courts situated in Nassau County, New York and you hereby consent and submit to the personal and exclusive jurisdiction of such courts for the purposes of litigating any such action; (b) any such action shall be resolved individually, NOT as part of a class action; (c) any claims/judgments/awards shall be limited to actual out-of-pocket costs incurred (if any), but NOT attorneys’ fees. These Official Rules and this Sweepstakes shall be governed by the internal, substantive laws of the State of New York; i.e., without regard to conflict of law/choice of law provisions of the State of New York or any other jurisdiction. 14. WINNER’S LIST: For the name of winner (available after 7/15/2019); requests must be received by 6/30/2019, send a self-addressed, stamped envelope to: Bridal & Wedding Expo Sweepstakes Winner, c/o American Consumer Shows, LLC, 6901 Jericho Turnpike, #250, Syosset, NY 11791.